I’m not doing a WWW Wednesdays update today because I’m still reading Dandelion Wine (it’s really good, by the way). Instead I thought I’d do an update of “Kids say the darndest things” since it’s been a while. I don’t always capture the outrageous things my kids can say, but I’m glad when I do. 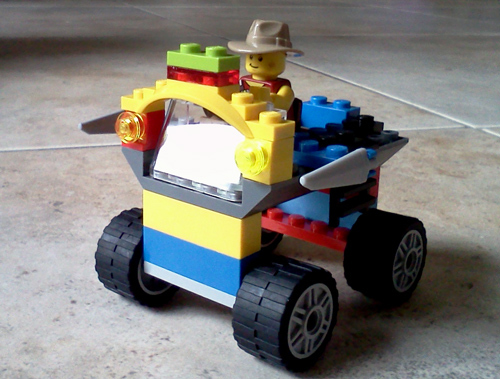 To make things easier, Son #1 is my 6-year old, Son #2 is my 4-year old. 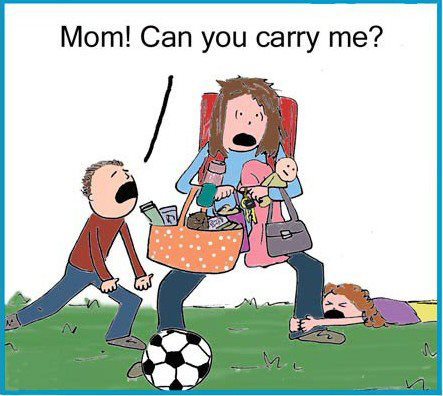 The next two cartoons are for all moms out there, who share the joys and pains of motherhood with me. Enjoy! Mom, can you carry me? I embrace moments of solitude every day, when I can take the opportunity to relax, reflect and recharge. I wouldn’t want to live like a hermit but as an introvert, I enjoy spending time on my own, or with small groups of people when I can have great conversations. I love being around my kids and doing activities with them, but I also encourage them to find something to keep them busy on their own. Believe it or not, I’ve never heard them say, “I’m bored” and I hope I never do. 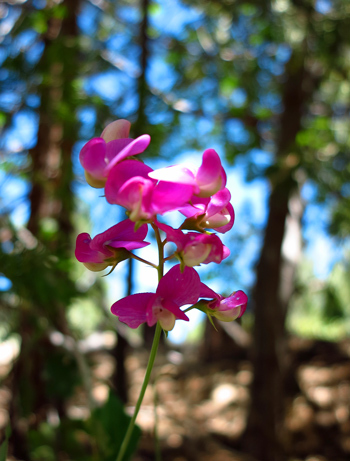 Nature can be quite solitary too, such as this sweet pea I found not too far from our vacation cottage in Idyllwild, California this past summer. There are a lot of white and pink sweet peas growing all over town but this one stood proud and alone on its chosen spot. And then there’s this katydid I snapped a photo of a couple of years ago. It was at night in my backyard, on the dirty window glass. Unfortunately my kids were sleeping so all they got was this stinkin’ picture. This is the very first and only katydid I’ve seen in my whole life, but hopefully not the last. 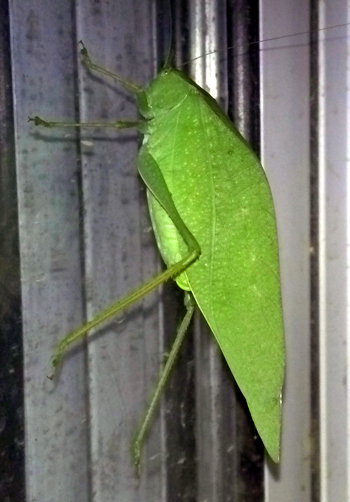 I had no idea how big katydids really are and I’m glad it didn’t try to jump on me as I was taking its picture. Have you every seen one this close? Today I’ll (finally) start Dandelion Wine by Ray Bradbury. The Accidental Bestseller by Wendy Wax. It’s unfortunate the first 100 pages of this book go very slow because the story overall is quite interesting and the pace picks up afterwards. I liked the idea of mingling four different writers’ lives, all of whom include pretty big secrets, to entice me to keep reading. I also enjoyed learning more about the publishing industry and what it takes to get a book written and out on the store shelves. The famous writers’ quotes on writing that start each chapter were a very nice touch too. The Immortal Life of Henrietta Lacks by Rebecca Skloot. This book has been on my to-read list for quite a while, so I’m glad I finally ordered and received it from the library. – Tumford The Terrible by Nancy Tillman. If you’re a Nancy Tillman fan, plug your ears. I don’t think she’s a great artist and her illustrations look pretty cheesy. I also don’t think she’s a great writer and could use a better editor. But… my kids love this story and it’s easy to understand why. Tumford makes mistakes on a regular basis but never apologizes, even though his owners insist he must. It’s a good lesson for kids who wonder why adults are so insistant on requesting apologies. And Tumford sure makes a lot of funny looking faces. – I love the Nana Quimby books, Cat Up A Tree and Mouse In The House by John and Ann Hassett. In Cat Up A Tree, Nana Quimby calls the fire department to help get one cat down from the tree facing her house, but they won’t help unless “the cat is playing with matches.” As new cats join the first one, Nana’s calls for help stay unanswered. So when the town gets overrun by mice, do you think Nana Quimby will help? In Mouse In The House, Nana Quimby gets a cat to get rid of the mouse, then a dog to get rid of the cat, etc. I really like the unexpected ending of this book. 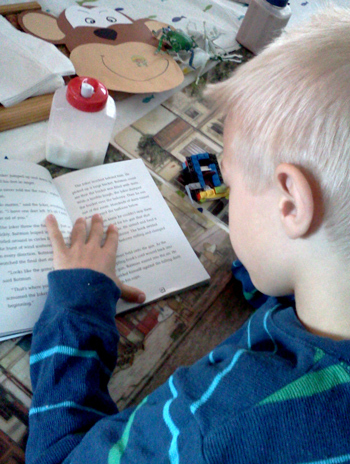 We’re big fans of the Rotten Ralph books by Jack Bantos at our house. Ralph’s attitude and behavior can be quite rotten, but his friend Sarah always ends up showing him a better way. Great, fun lessons about life for all kids. – Practice Makes Perfect for Rotten Ralph – Ralph gets tired of not winning any prizes at the carnival so he resorts to cheating, but his friend Sarah will help him find his way back to honesty. 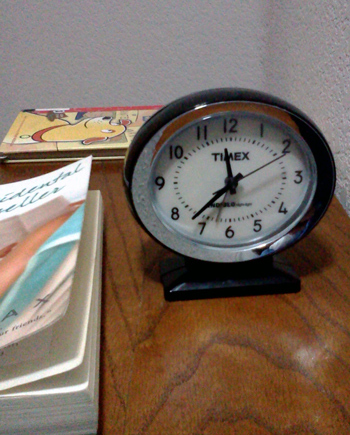 Everyday life can be quite repetitive, unless you’re a treasure hunter or maybe a time traveler (wouldn’t it be cool?). But repetitive doesn’t mean boring, and I enjoy capturing the little moments that make a day unique in its own way. 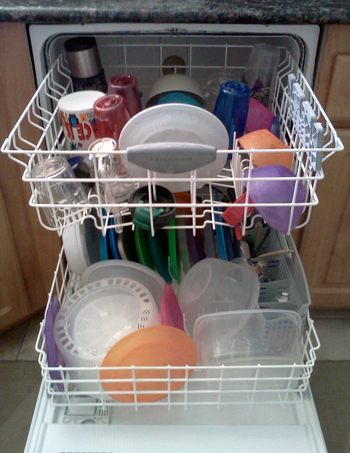 Of course, I can’t avoid the emptying of the dishwasher first thing in the morning. But I always try to beat the timer and do it under 3 minutes. By now, I’m a pro and I’m waiting for my gold medal. And you know what makes the house chores go a lot faster? 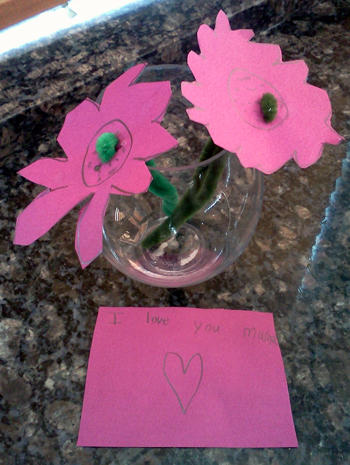 Looking at the gift my six-year old made for me: flowers out of my favorite color and a love note. I get gifts from him about once a week. I bet he’ll make a great boyfriend and a great husband. Somehow, breakfast never consists of simply sitting at the table and eating. 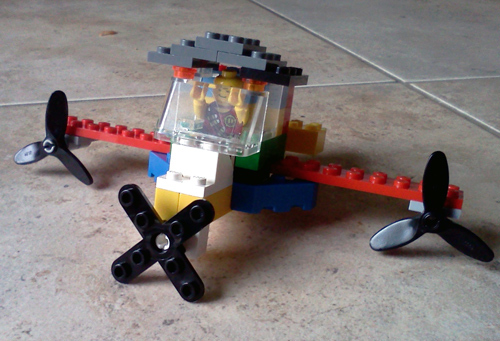 It’s often the last thing on the kids’ minds as they prefer more creative activities, like building their latest Lego contraptions. I’m a big admirer because I can’t build stuff like that without following directions. If you read my recent post about the Sunshine Award, you know my favorite time of the day is when I read books with my kids at night. 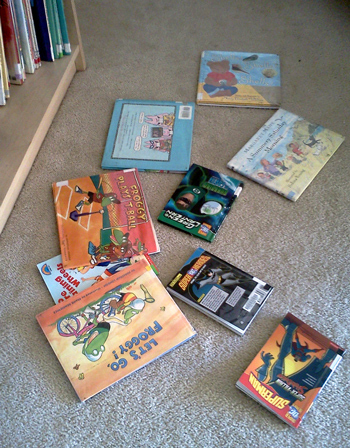 This is what my bedroom floor looks like as they go through their nightly book selection. 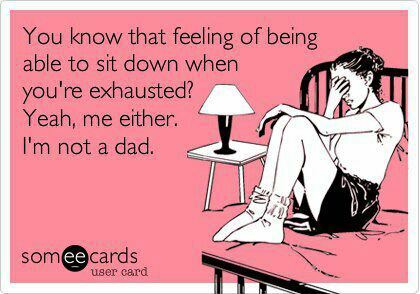 Actually, it often looks a lot worse. This was a good day. Of course, my second favorite part of the day is when I read books by myself before going to sleep. Unfortunately I often make it to bed late, get sucked into the story and freak out when I look at the clock. Uh oh, better turn off the lights. Good night!